Kareena Kapoor is all set to entertain the audience once again after a long gap. The actress had taken a break from films due to pregnancy and is now ready to get back to showbiz. Kareena was snapped outside the gym in Mumbai on May 1, 2018. The Jab We Met actress was snapped in a loose Gucci t-shirt and black yoga pants. 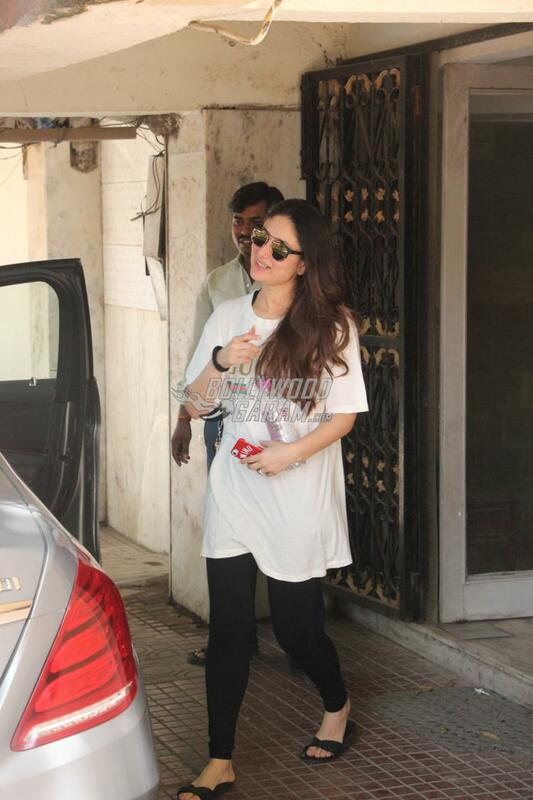 Bebo was all smiles for the cameras as she was snapped coming out of the gym. Kareena has been loyal to her gym timings soon after the birth of her son Taimur Ali Khan. The actress hit the gym to reduce her weight soon after the birth of her son with Saif Ali Khan. Kareena soon started shooting for the film Veere Di Wedding, which is currently in the post production stage. The makers recently unveiled the official trailer of the flick which also stars Sonam Kapoor, Swara Bhaskar and Shikha Talsania. Veere Di Wedding is directed by Shashanka Ghosh and produced by Rhea Kapoor and Ekta Kapoor. The film will be released in theatres on June 1, 2018.